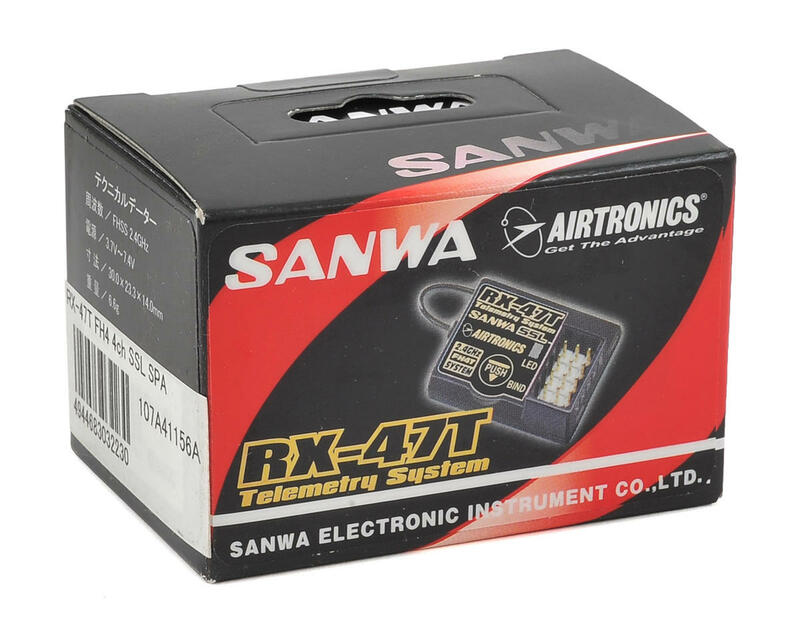 Sanwa RX-47T 2.4GHz FHSS-4 4-Channel Telemetry Receiver. NOTE: Combination of MT-4 and SUPER VORTEX (ZERO/TYPE-D) is not compatible with SSL function. 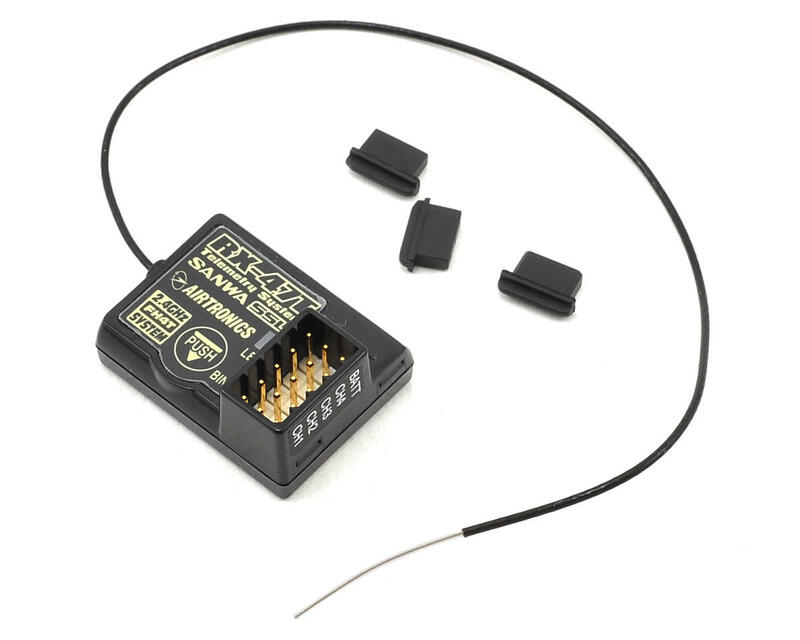 But without troublesome sensor, you can receive telemetry data. Nice small footprint receiver. Been 100% reliable in my 22 3.0 for a few months now. Allows me to mount my electronics down the center without using a lopro servo. Response is as good, if not quicker than my RX-461. Those of you wondering where you plug in telemetry sensors... you can't. This requires a Sanwa ESC like the Vortex Zero in order to have telemetry functionality. Also allows for programming of the Sanwa ESC from a compatible radio. Expensive, but sadly is relatively reasonable compared to other Sanwa receivers like the 462. Definitely recommended if you are a Sanwa driver. I have a couple of these I'm using with a Sanwa MT-44. They are tiny, fast, and work great. Pretty much the same receiver as the RX-472. The main difference is the RX-472 supports FHSS3 (older controllers) and FH4T; whereas this only supports FH4T. Bonus; I can read my receiver voltage from my radio without any add-ons; that's handy for nitro racing. I know its telemetry but my experience with Futaba and Spektrum radios you normally need sensors. Even Sanwa has the RX-462 that has a voltage sensor wire; so I wasn't expecting it to read receiver voltage, but it does! The difference between RX-47T and RX-472 is the lack of support for both FHSS3 and SSL (Sanwa Synchronized Link) in the RX-47T. If you don't use these functions, the RX-47T receiver is a great deal.